What's the best way to control buckthorn and protect native plants? FMR investigates. We set up a new research project in Hampton Woods (top left) to control buckthorn (top right) and see how different methods (such as the forestry mower, bottom right) best protect and encourage native plants (like the yellow ladyslipper, bottom left). What pops to mind when you think of restoring a forest? Perhaps people planting trees? How about bobcat-like machines busily eating up small trees and spitting out the splinters? If you'd visited Hampton Woods this spring, this is exactly the scene you would have come across. The machines were forestry mowers, and they were consuming the invasive shrubby tree, European buckthorn. Not only were the mowers benefiting the long-term health of the forest, but they're part of a new FMR research project to compare and contrast the effectiveness of different buckthorn control methods. Hampton Woods is a large forest that rises from the farm fields in the heart of Dakota County, this continuous habitat is great for wildlife and also makes it good for testing different approaches to habitat restoration. A common practice in woodland restorations, forestry mowing efficiently removes buckthorn from large areas (see our January 2018 article). The machines can mow stems up to 6 inches in diameter, leaving behind an expanse of chewed-up stumps and a groundcover of woodchip (see above). Since mowers can't avoid every native shrub or sapling or sensitive wildflowers, this intensive method is reserved for sites where the buckthorn is very dense and the native plant diversity, both woody plants and wildflowers, is low. Ecologists and restoration managers have found forestry mowing to be an effective means of buckthorn control. Frequently, it's followed up by applying an herbicide to the leaves of resprouted and new buckthorn plants. However, there is little documentation of potential long-term effects of either forestry mowing or selective herbicide application when it comes to nearby native plants. Although herbicide application typically occurs when native plants are dormant, some managers have observed negative impacts. With funding from Dakota County, and in cooperation with the Minnesota Department of Natural Resources, FMR initiated a study in spring 2018 to better evaluate these effects of forestry mowing and follow-up management. Three 5-acre areas of Hampton Woods will each receive a different treatment after initial mowing. One unit will have immediate treatment of all visible stumps post-mow and a second unit will not have the initial stump treatment. Both will receive herbicide treatment later in the season when resprouting occurs. This portion of the study will evaluate the importance of the initial stump treatment for overall buckthorn control. A third unit will receive no herbicide treatment at all but will be mowed at least twice a year for two years. This will tell us if mowing can replace herbicide use to some extent. We'll not only be looking at the effectiveness in terms of the absence of invasive buckthorn but the diversity and abundance of native plants in each plot. Lastly, these three test areas will be compared to adjacent management units where buckthorn was cut by hand and stump-treated with herbicide. Results of the study will be shared with other managers to better inform restoration practices. Applied Ecological Services, a local ecological restoration firm, has been contracted to conduct the ecological tasks at Hampton Woods. Over half of the 190-acre protected woods, the Wildlife Management Area, has been cleared of buckthorn in recent months, transforming the site from walls of buckthorn in some areas to a beautiful open woodland. We look forward to observing changes to the native plant community as they are released from competition with this resource-depleting, invasive shrub. FMR ecologists and interns will also be conducting breeding bird surveys and orchid surveys to track changes to these populations as restoration continues. FMR will be hosting the first volunteer event at Hampton Woods this spring to remove garlic mustard. This invasive plant is known for taking over large swaths of natural areas — but it is not yet abundant at this site. Come help us reduce it before it takes over! 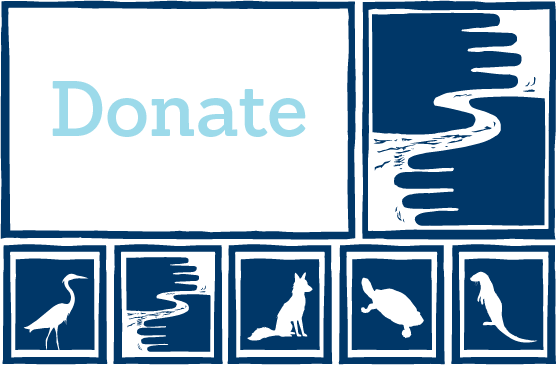 This research project and the upcoming volunteer event will help protect and support the growth of important native habitat. 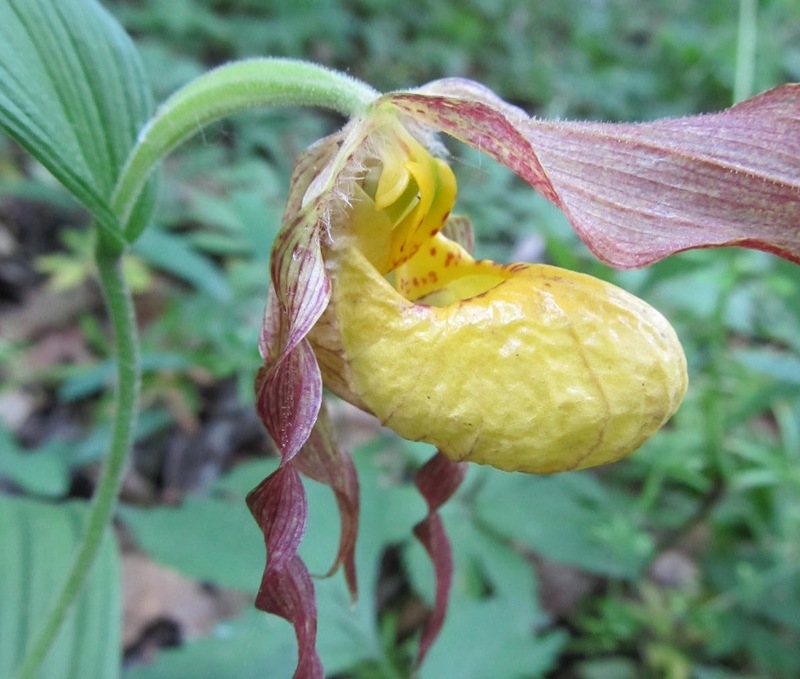 Hampton Woods Wildlife Management Area is known for many stunning native plants, such as yellow ladyslipper (above).